The HBO/BBC co-production Gentlemen Jack will begin its eight-episode run starting Monday, Aprill 22 on HBO. The series was created, written and co-directed by Sally Wainwright (Happy Valley), and stars BAFTA Award winner Suranne Jones (Save Me), as a woman with a mind for business who bucked society’s expectations at every turn. You can check the trailer in the post below! Set in 1832 Halifax, West Yorkshire amidst the industrial revolution, Gentlemen Jack follows landowner Anne Lister as she’s determined to transform the fate of her faded ancestral home, Shibden Hall, by reopening the coal mines and marrying well — but has no intention of marrying a man. Gentlemen Jack co-stars Sophie Rundle (Peaky Blinders), Gemma Whelan (Game of Thrones), Timothy West (Bleak House), and Gemma Jones (Bridget Jones’s Diary). It’s directed by Wainwright, Sarah Harding (Vikings) and Jennifer Perrott (Doctor Who) and produced by Lookout Point for HBO and BBC One. Executive producers include Wainwright, Faith Penhale and Laura Lankester for Lookout Point and Ben Irving for BBC One. Phil Collinson also produces. You can catch Gentleman Jack stateside on HBO starting April 22nd, and will air on BBC in the UK sometime this Spring. 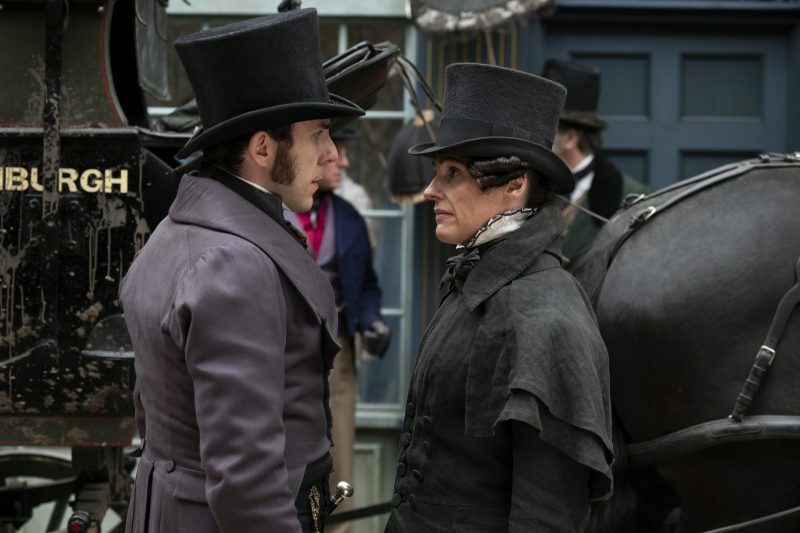 The post HBO Series Gentleman Jack Gets Trailer and Premiere Date appeared first on ComingSoon.net.